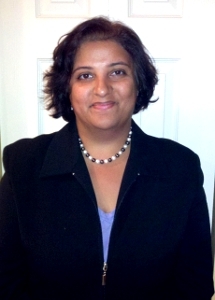 Vandana Janeja is an Assistant Professor at the Information Systems department at UMBC. She has taught various courses including advanced data analytics for cybersecurity, and DAta Mining. Her research is in the area of Data Mining, with a focus on anomaly detection in traditional and spatio-temporal data. She has published in various refereed conferences such as ACM SIGKDD, SIAM Data Mining, IEEE ICDM, National Conference on Digital Government Research, IEEE ISI and journals such as IEEE TKDE, DMKD and IDA. She holds a Ph.D. in Information Technology from Rutgers University. Due to the dynamic nature of communication networks, the organization and behavior of nodes in a network evolves over time. The objective of this project is to analyze each node’s activity over time in order to discover which time frames and nodes are more critical compared to others. This study samples on a traffic flow dataset from the Protected Repository for the Defense of Infrastructure Against Cyber Threats (PREDICT), where the behavior of nodes is monitored over a selected time period. We utilize graph densification laws to identify changes in the networks that are anomalous. Traditionally signature-based based network intrusion detection system (IDS) rely on experts inputs and can identify the attacks individually. Existing approaches have proposed analytics based methods to analyze IDS alert patterns based on anomaly detection models, probabilistic approaches and data mining based systems. However, due to the complexities of network intrusions, it is impossible to develop all possible attack patterns or to avoid false positives. We observe that no matter how rapid the technologies change, the human behaviors behind the cyber attacks stay relatively constant. In this project, we develop network intrusion models based on human factors which are common across all classes of network intrusions.